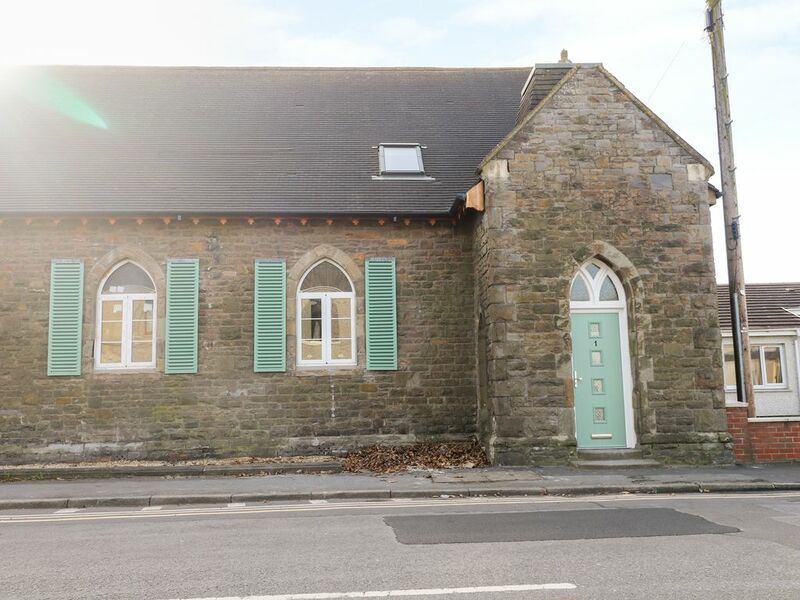 This end terrace cottage is situated in the village of Llanelli near Carmarthen and can sleep four people in two bedrooms. No 1 Church Cottages is an end terrace cottage located in the village of Llanelli in Carmarthenshire. Hosting two bedrooms; a double with en-suite and a twin, as well as a family bathroom, this property can sleep up to four people. Inside you will also find a cloakroom, kitchen/diner and a sitting room. To the outside is roadside parking. Resting in a charming location and close to scenic attractions, No 1 Church Cottages is a memorable retreat in a characterful part of Wales. Amenities: Gas central heating. Electric oven and ceramic hob, microwave, fridge/freezer, washing machine, dishwasher, TV with Freeview, WIFI, selection of books, games and DVDs. Fuel and power inc. in rent. Bed linen and towels inc. in rent. Two well behaved pets welcome. Roadside parking. Two well-behaved pets welcome. Sorry, no smoking. Shop 1 mile, pub 2 mins walk. Train Station 10 mins walk. Beach 5 mins walk. Town: Llanelli is a mining town on the mouth of the River Loughor. It has modern shopping centres, and the Millennium Coastal Cycle Path. LLanelli is the perfect location to watch rugby matches, try out the golf courses, watch horse racing at nearby Ffos Las, or why not watch or try a spot of racing yourself at the Pembrey Circuit. Llanelli is in a beautiful part of Wales and is the perfect location for all the family. Gas central heating. Electric oven and ceramic hob, microwave, fridge/freezer, washing machine, dishwasher, TV with Freeview, WIFI, selection of books, games and DVDs. Fuel and power inc. in rent. Bed linen and towels inc. in rent. Two well behaved pets welcome. Roadside parking. Two well-behaved pets welcome. Sorry, no smoking. Shop 1 mile, pub 2 mins walk. Train Station 10 mins walk. Beach 5 mins walk.